Ultimatum Breakout - this trading system uses the strategy of valid breakouts, using multiple custom indicators for eliminating bad signals. 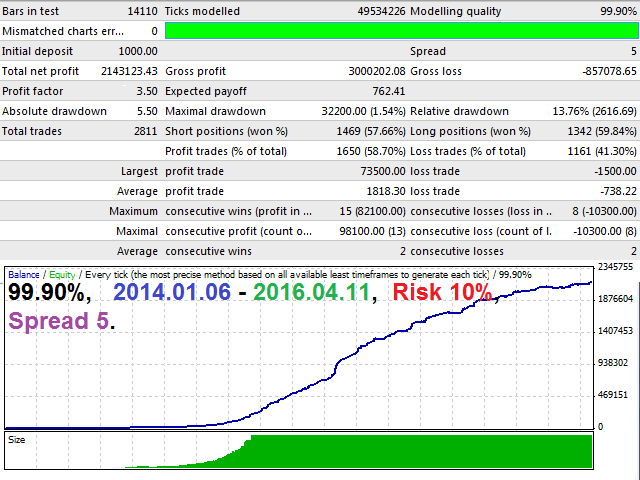 The EA is fully adapted: calculates the spread — for pending orders, stop loss, trailing stop, breakeven. The EA is optimized for EURUSD H1 only. Use VPS server with minimal network latency to the broker's server. Order_Comment — Comments to the order. 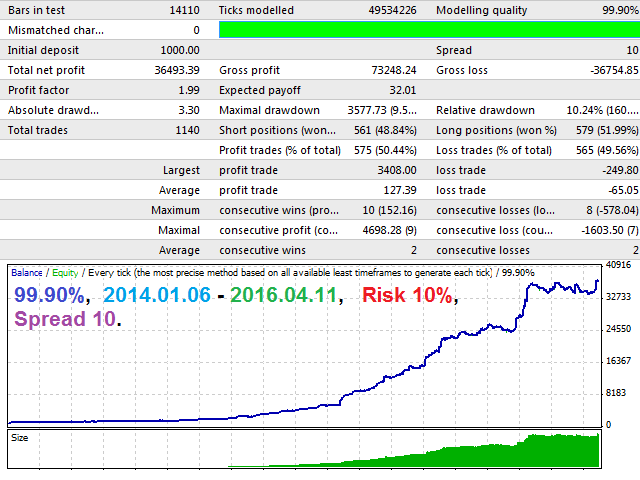 Adaptive_Spread_for_trade — At the value 'true' the spread is added to trailing stop and stop loss. Use_Smart_StopLoss— At the value 'true' the stop loss is adjusted according to the price movement. Smart_StopLoss — Step of the smart stop loss. Breakeven_Jump_PipsInp — Stop loss will be moved using this value to breakeven. Use time — If 'true' trading will be performed by time. por que no se ha actualizado desde 1/6/2016? DE momento, estoy contecto con los "trades" que ha hecho. Parece un buen EA.